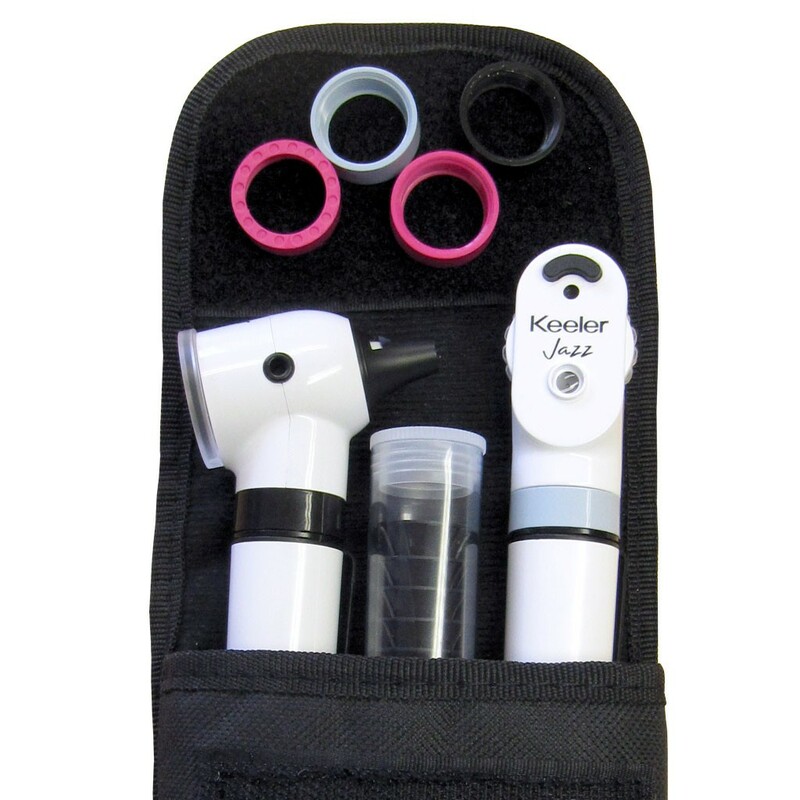 Keeler Jazz LED Diagnostic Set - Keeler's attractive and powerful new pocket diagnostic set. 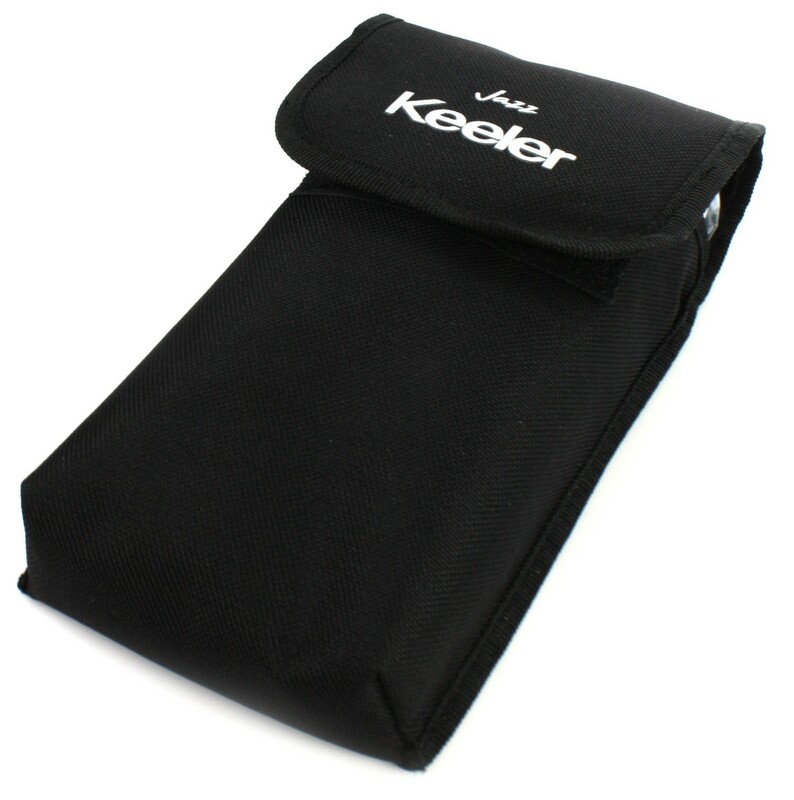 KEELER'S ATTRACTIVE AND POWERFUL NEW POCKET DIAGNOSTIC SET. 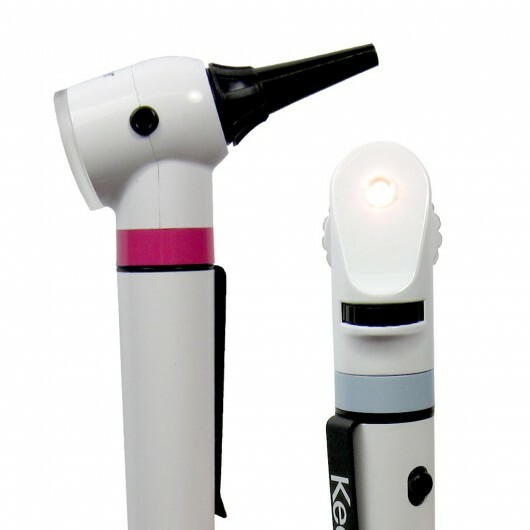 1x Fibre-optic LED pocket otoscope. 2x AA battery powered handles. 1x Soft velcro carry pouch. 3x magnification swivelling precision optics for optimum view. LED illumination gives 5500K pure white light for true tissue colour. Low power LED technology gives a practically unlimited service life. Fibre optics produce a ring of even light for an unobstructed, glare-free view. Handle powered by 2 regular AA alkaline batteries. 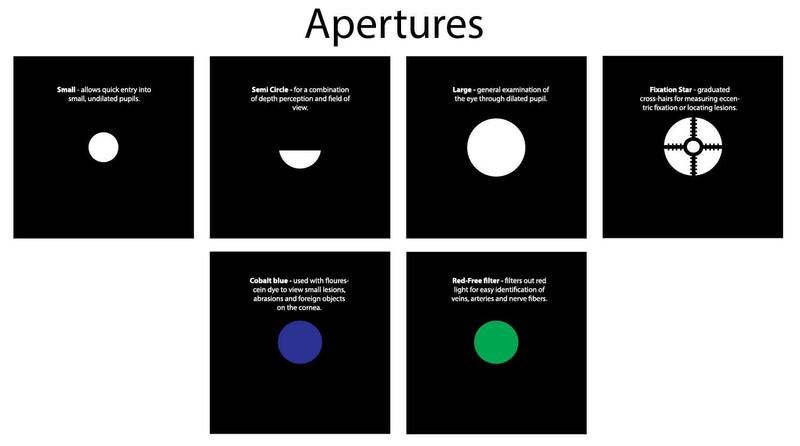 Semi Circle - for a combination of depth perception and field of view. Red-Free - filters out red light for easy identification of veins, arteries and nerve fibers. 18 focusing lenses with a range of -20 to +20 diopters, adjustable via easy-to-reach maywheel. Soft carry case with velcro fastening. Includes a loop on the reverse for attachment to a belt. 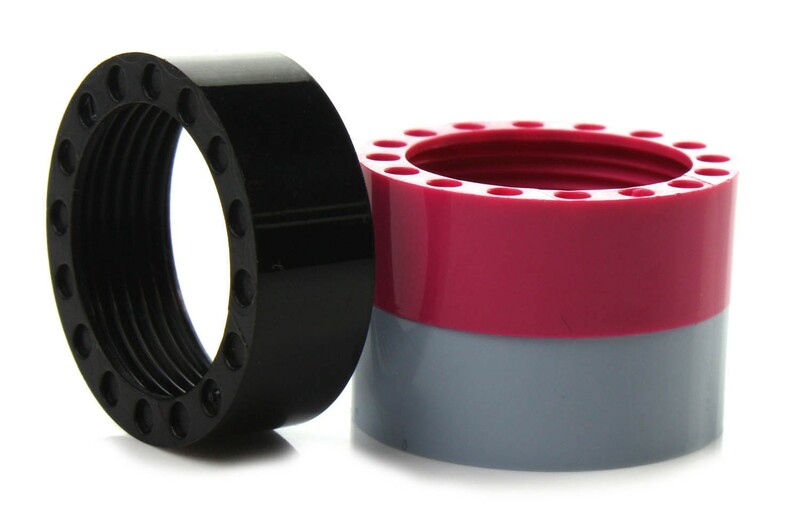 Segmented inner for individual instrument storage. 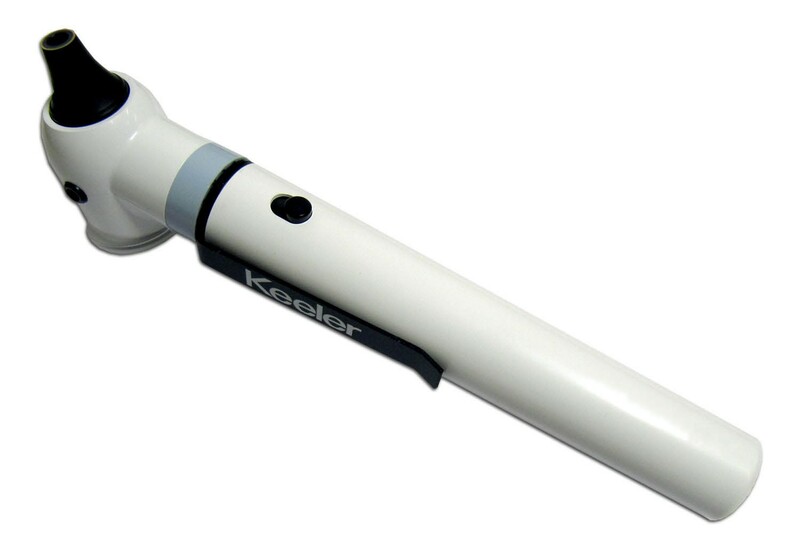 Keeler Jazz LED Diagnostic Set. 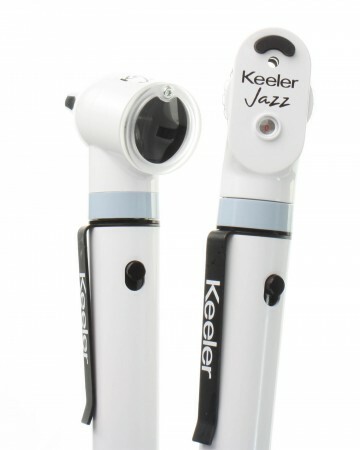 Keeler Jazz LED Diagnostic Set - Keeler's attractive and powerful new pocket diagnostic set.